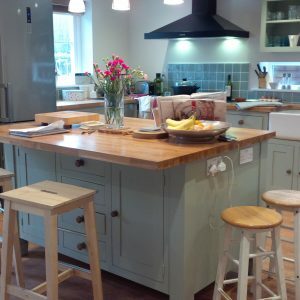 We are a Bristol based bespoke pine Furniture makers established in 1989. 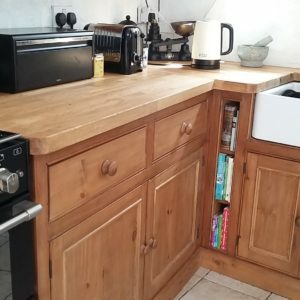 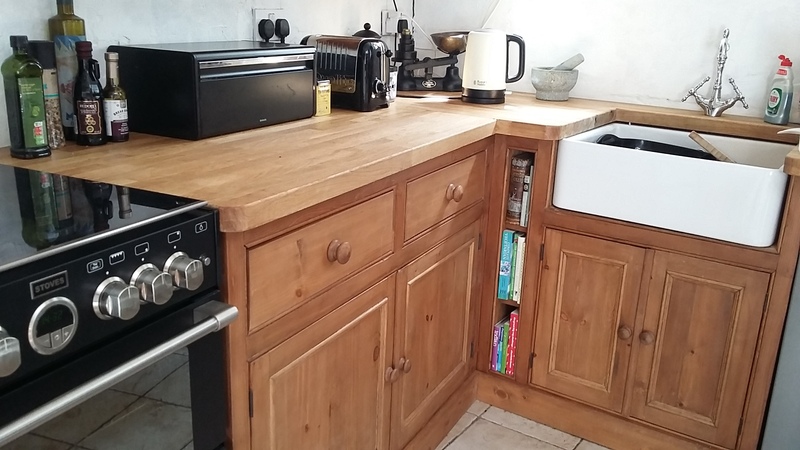 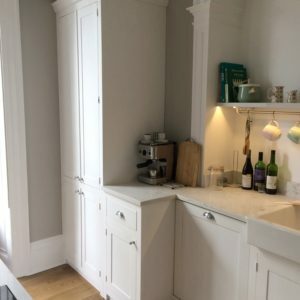 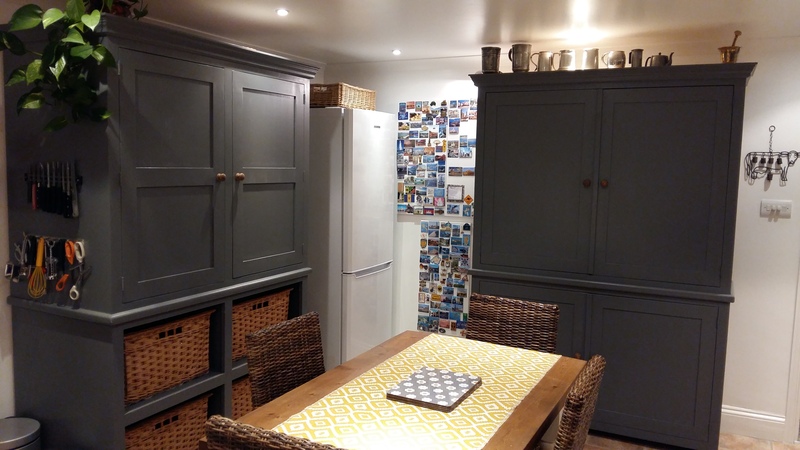 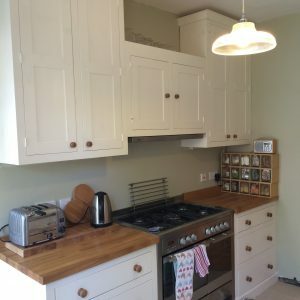 All our free standing kitchens are beautifully finished in a combination of stain, antique wax and Danish oil thus enhancing the grain and the natural beauty of wood. 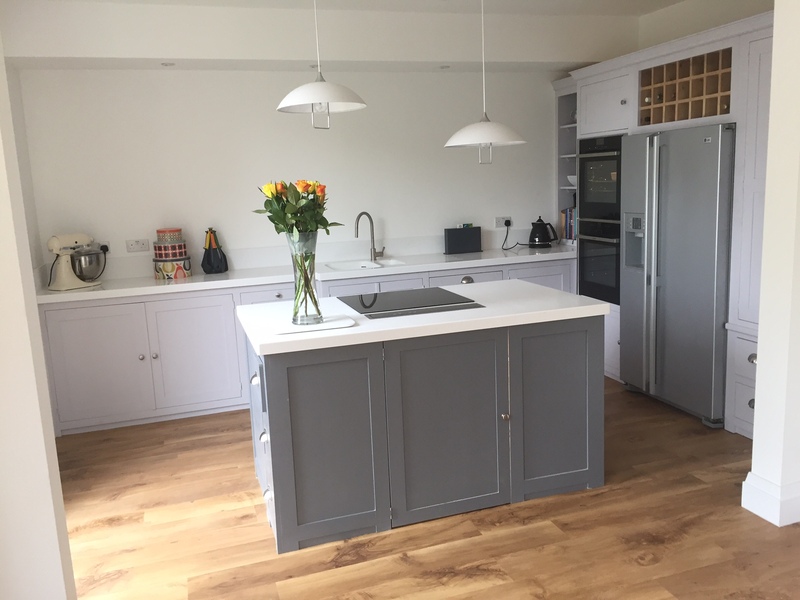 Our free standing kitchens are designed to be free standing units, so you have no assembly to do upon delivery, unlike flat pack kitchens. 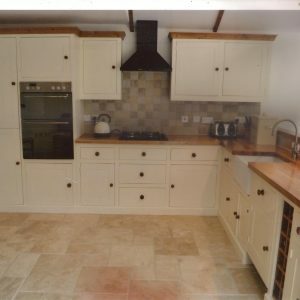 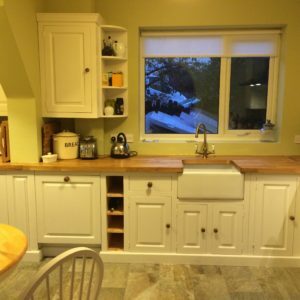 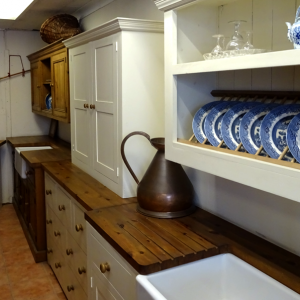 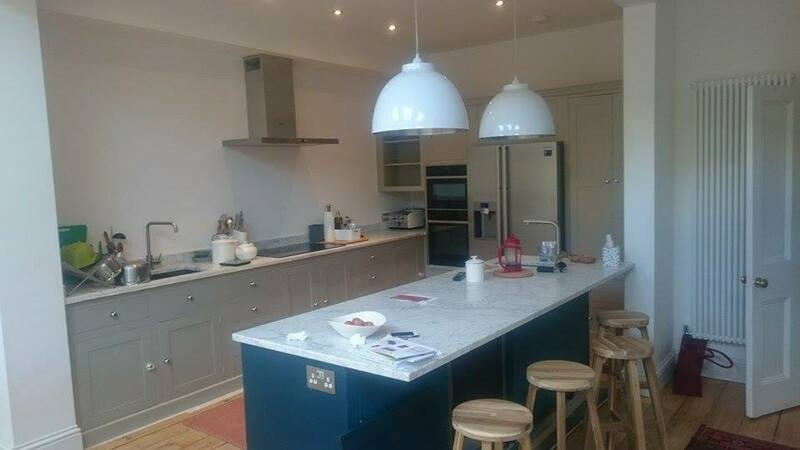 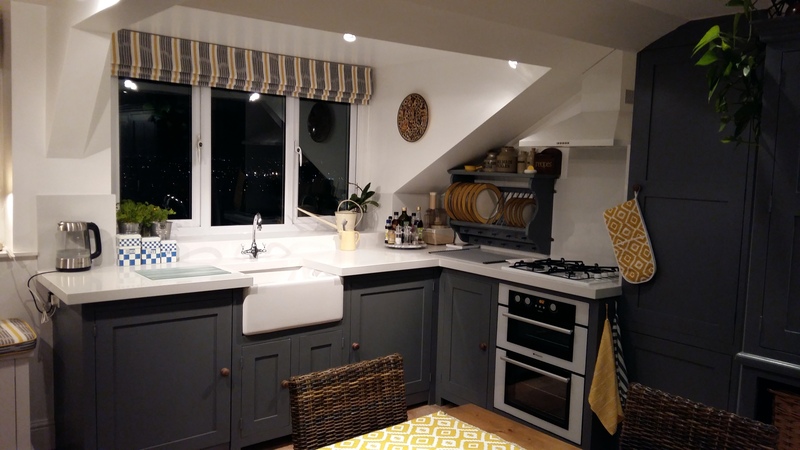 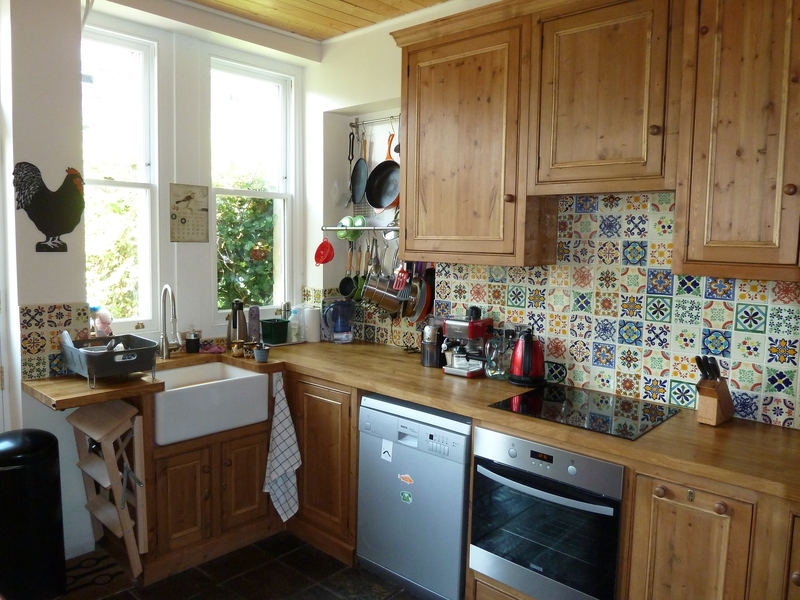 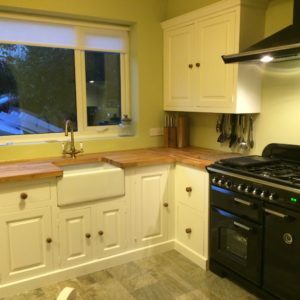 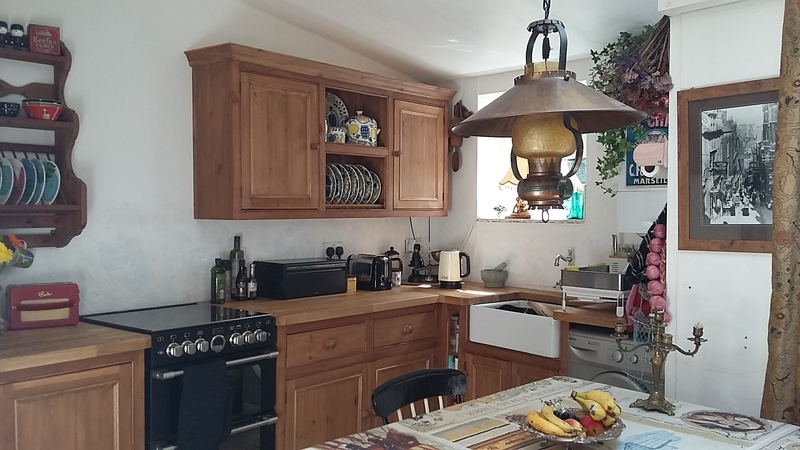 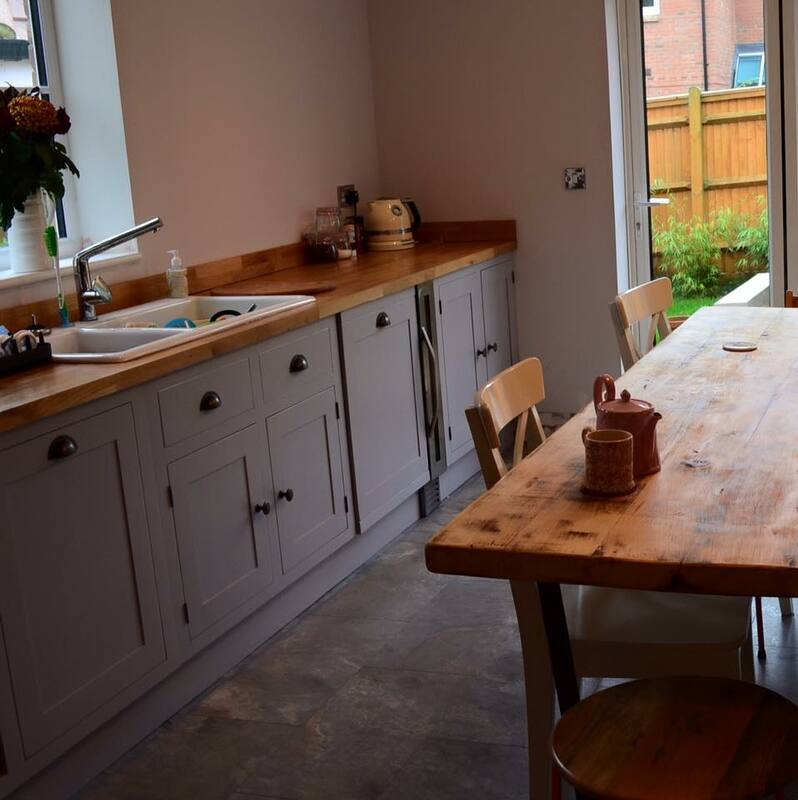 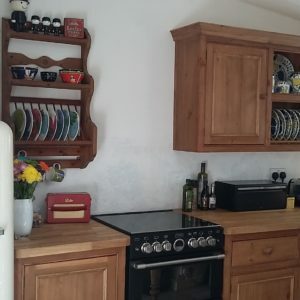 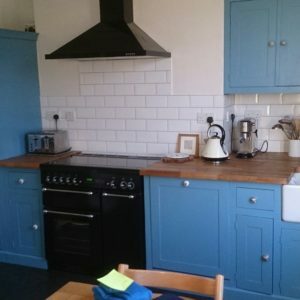 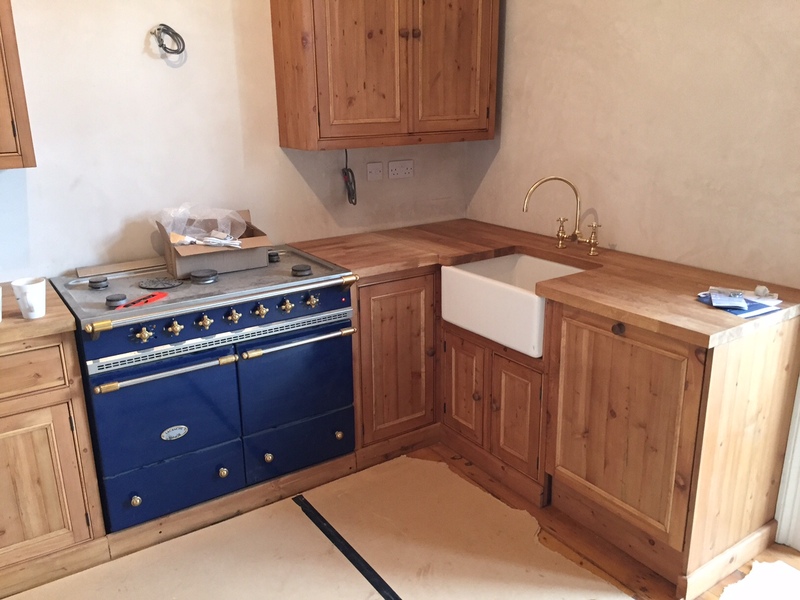 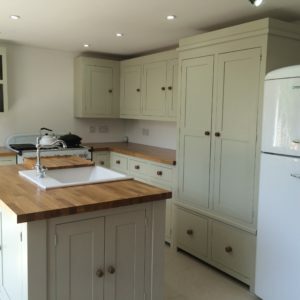 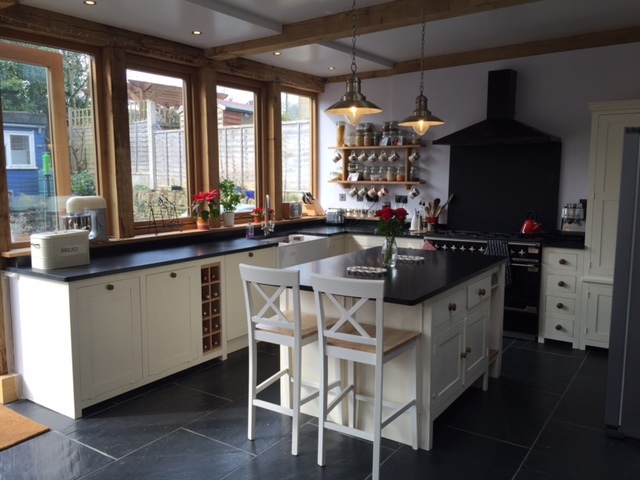 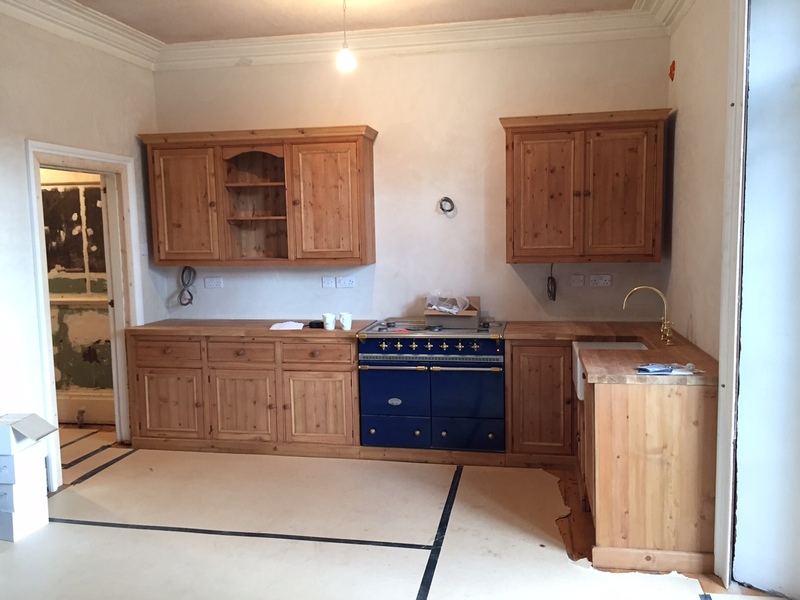 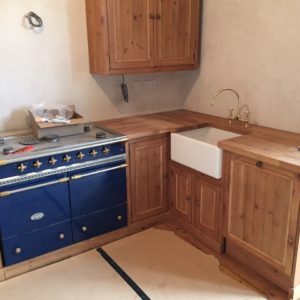 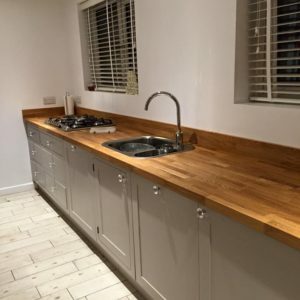 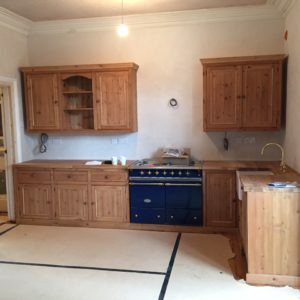 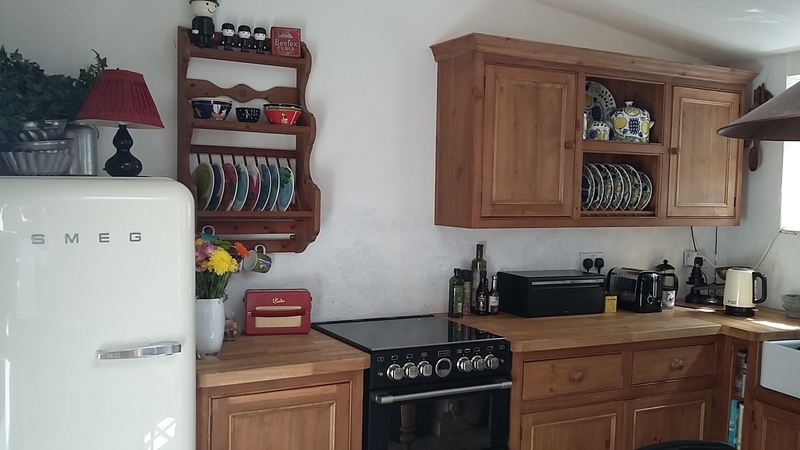 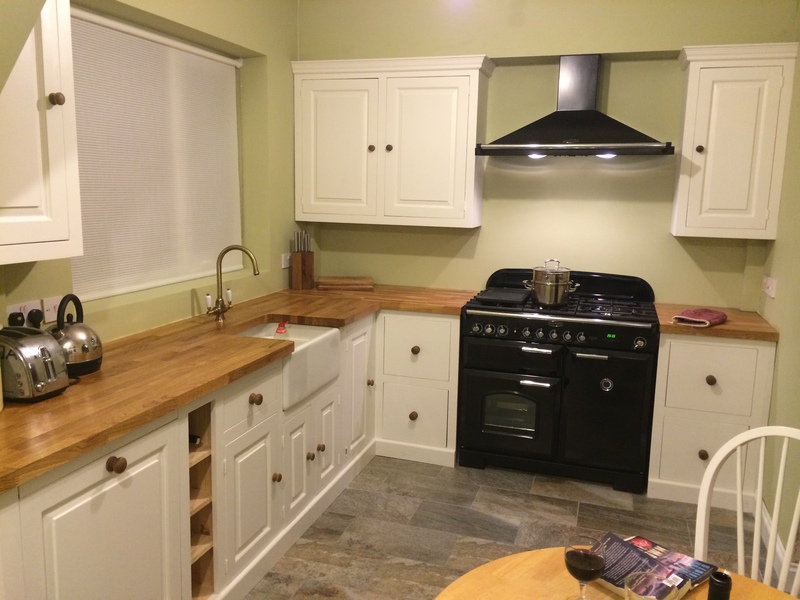 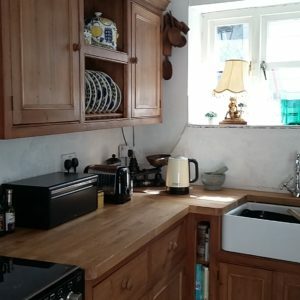 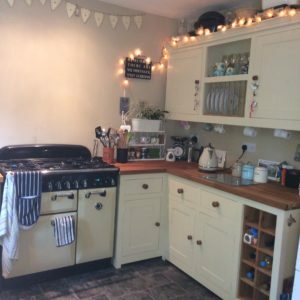 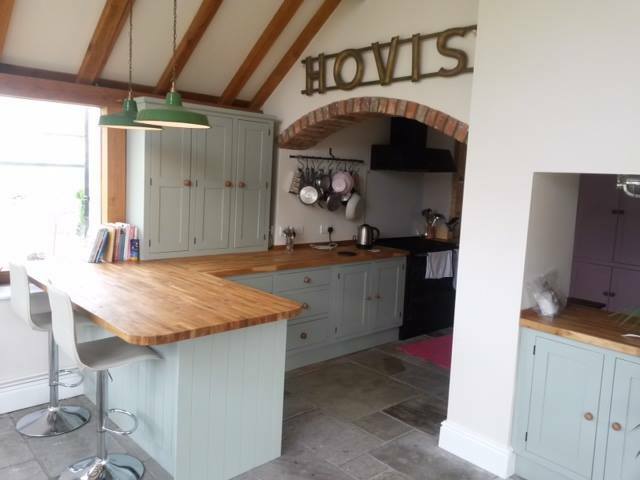 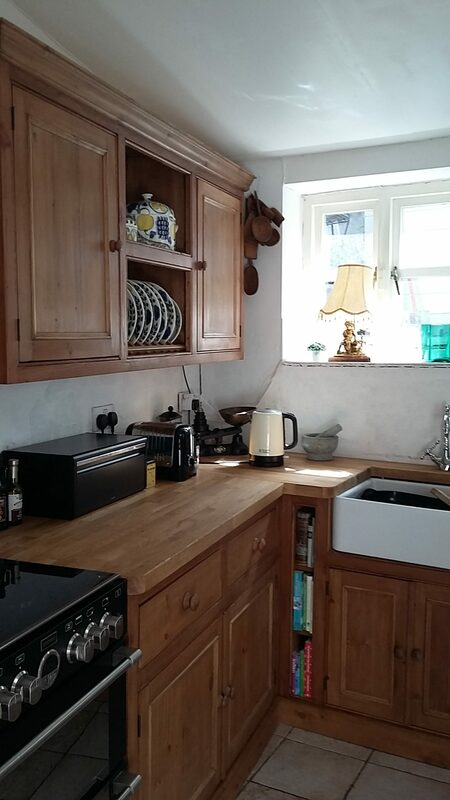 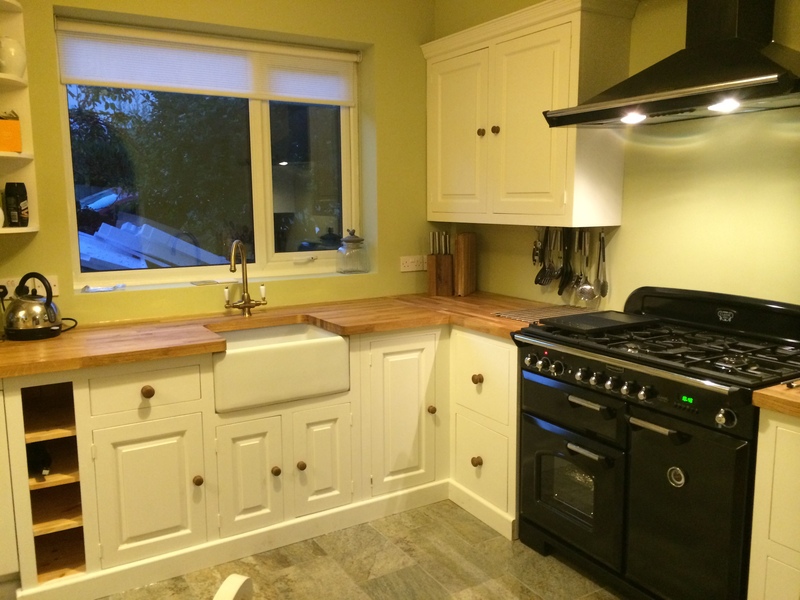 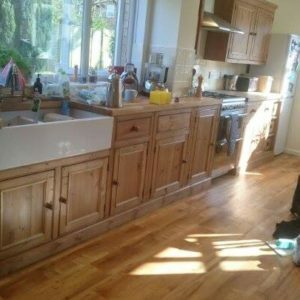 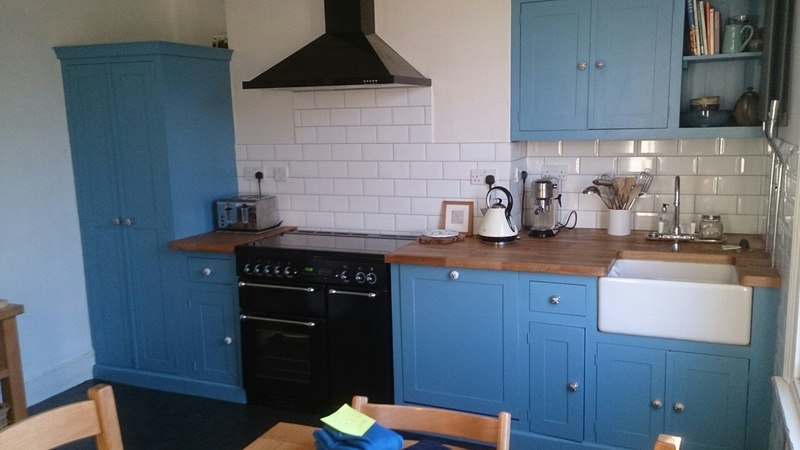 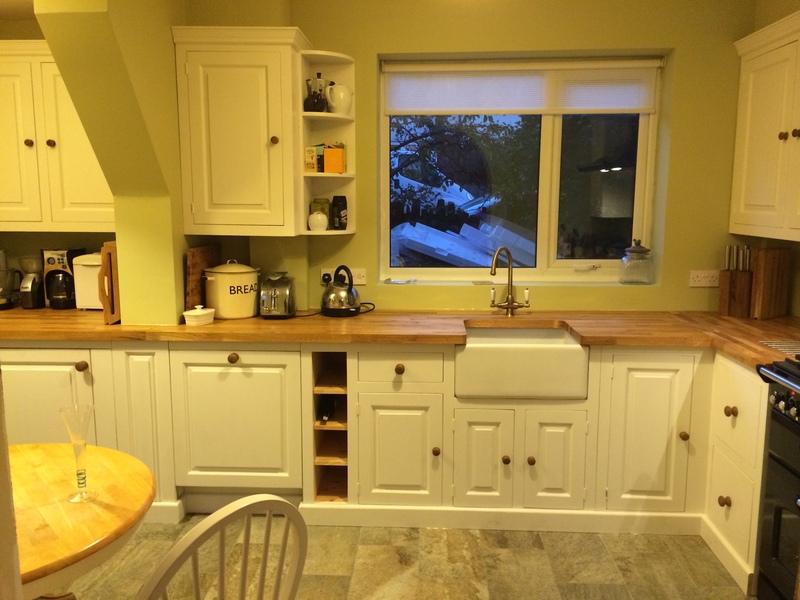 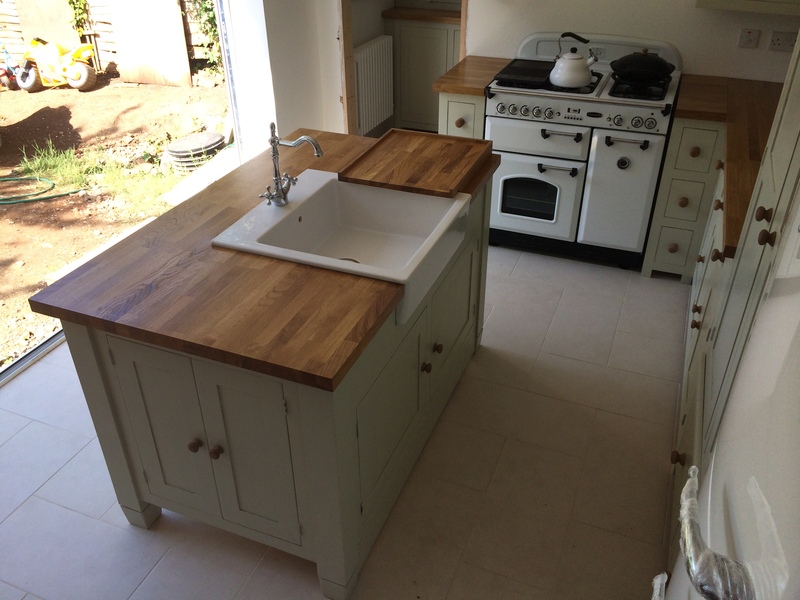 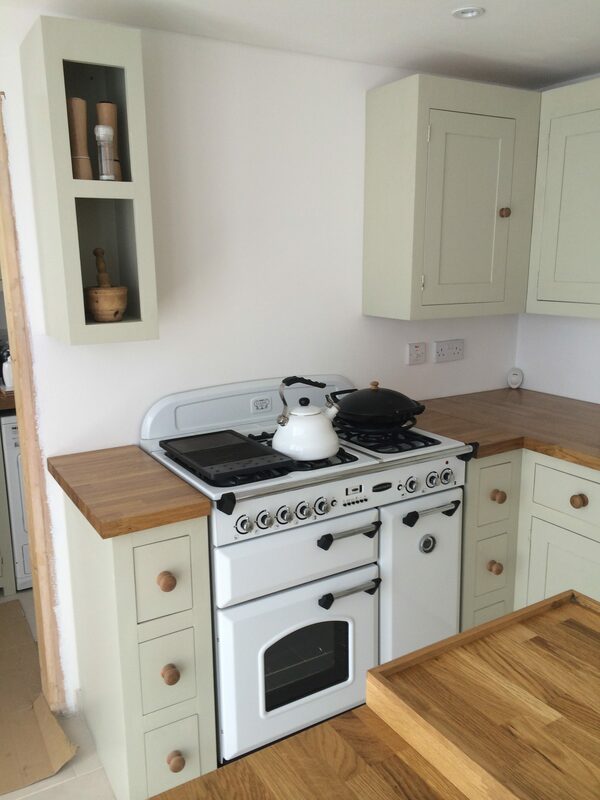 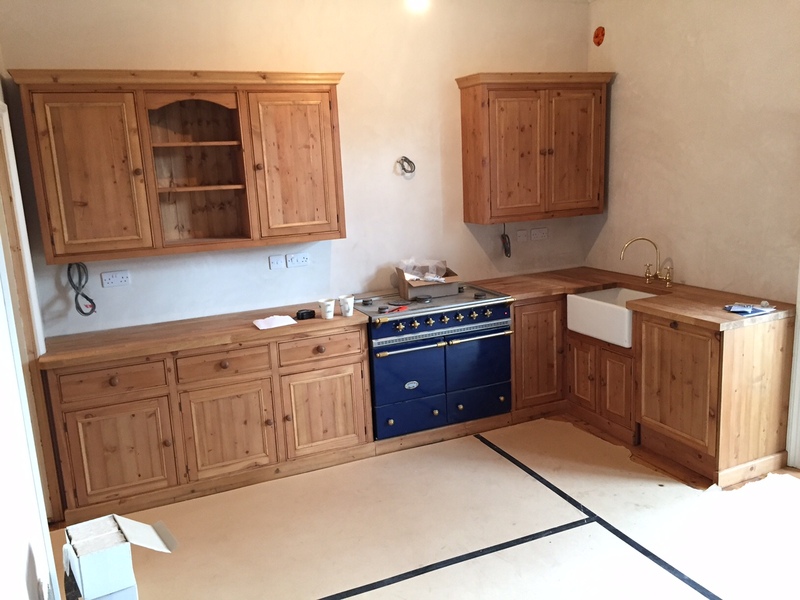 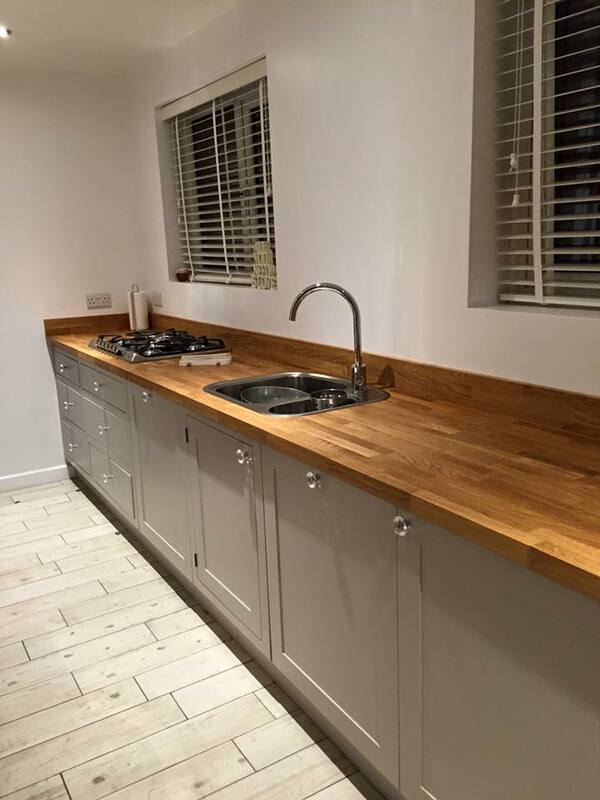 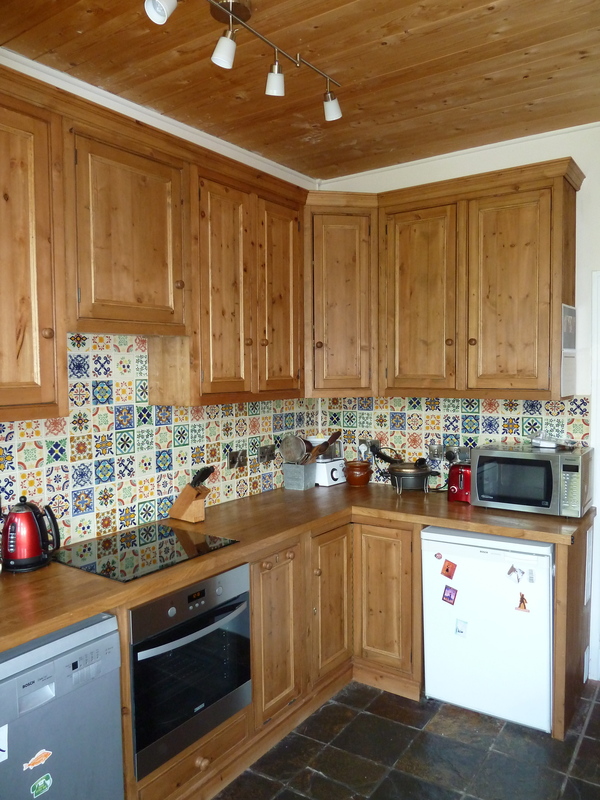 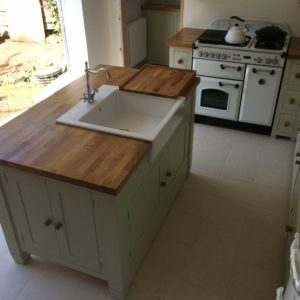 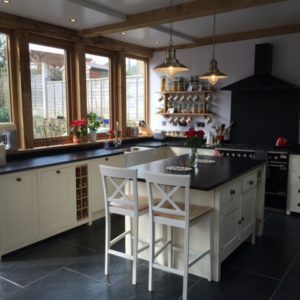 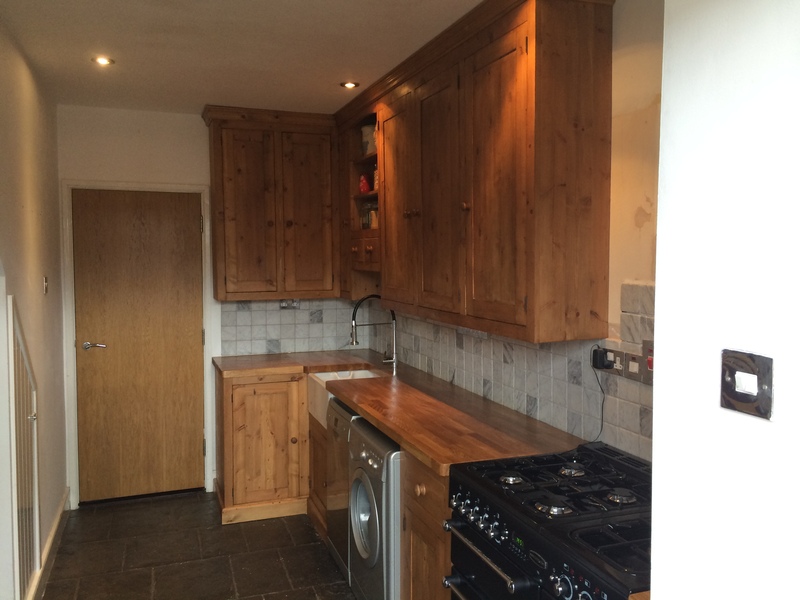 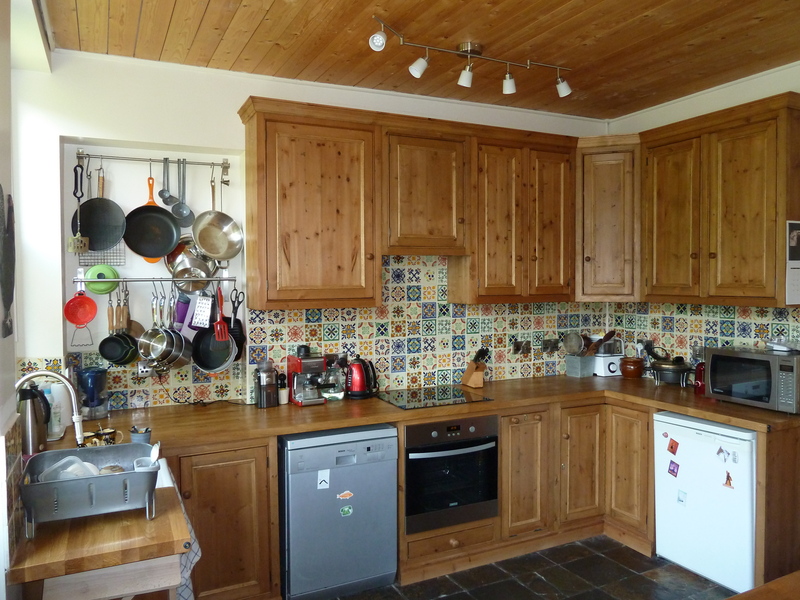 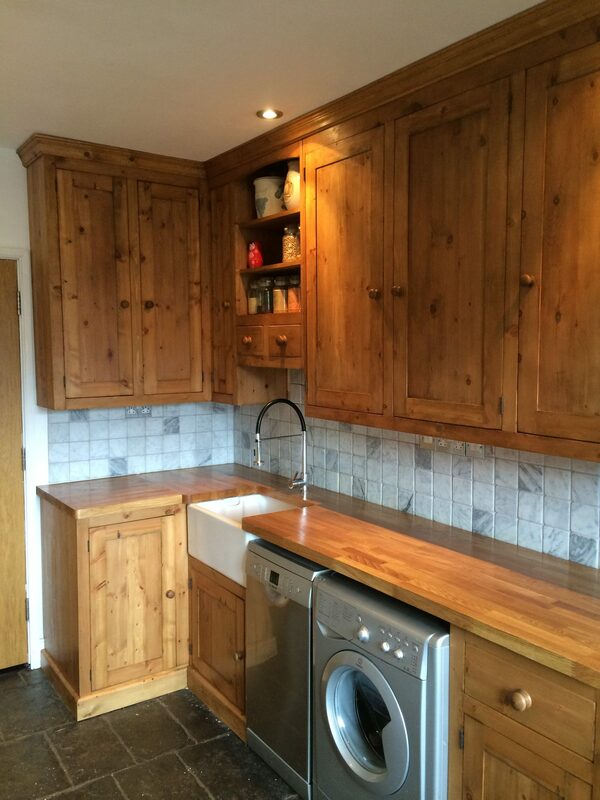 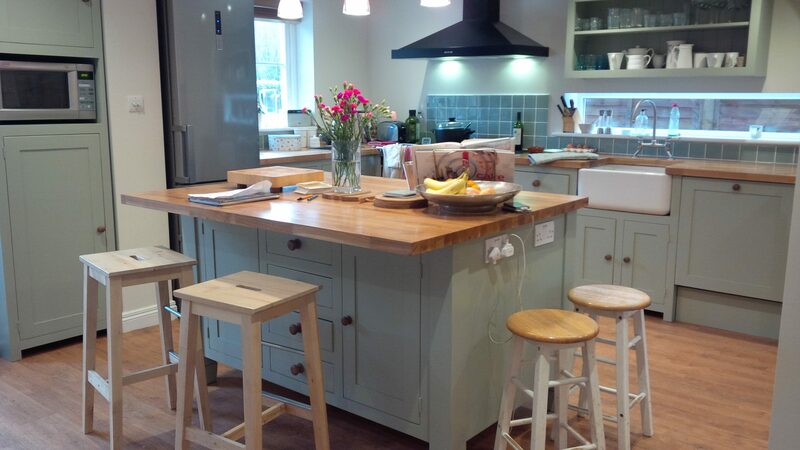 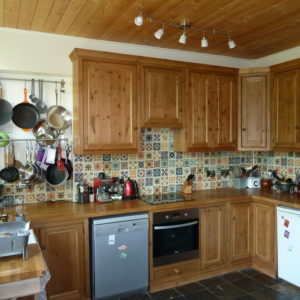 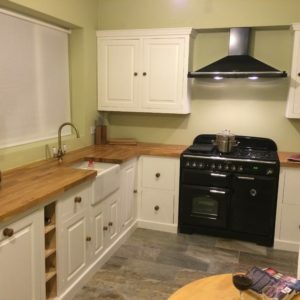 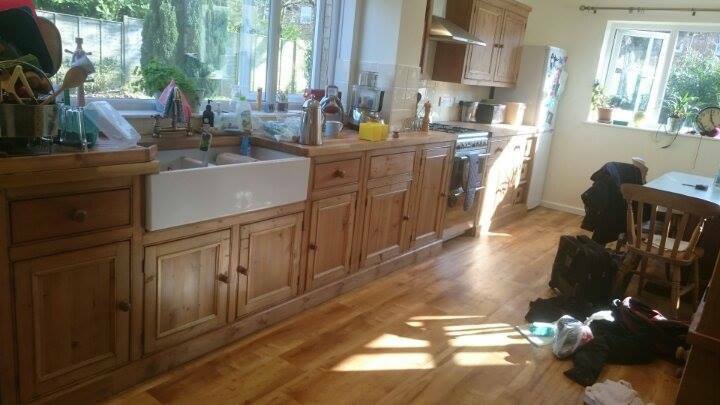 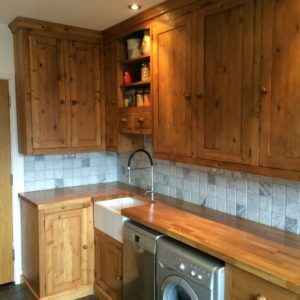 All of our kitchens are designed as country kitchens and have a rustic charm not found in modern kitchens. 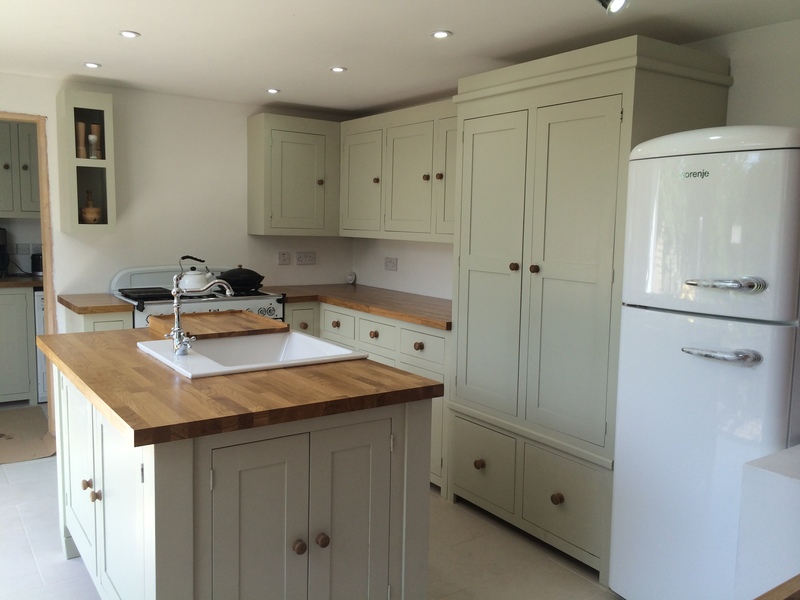 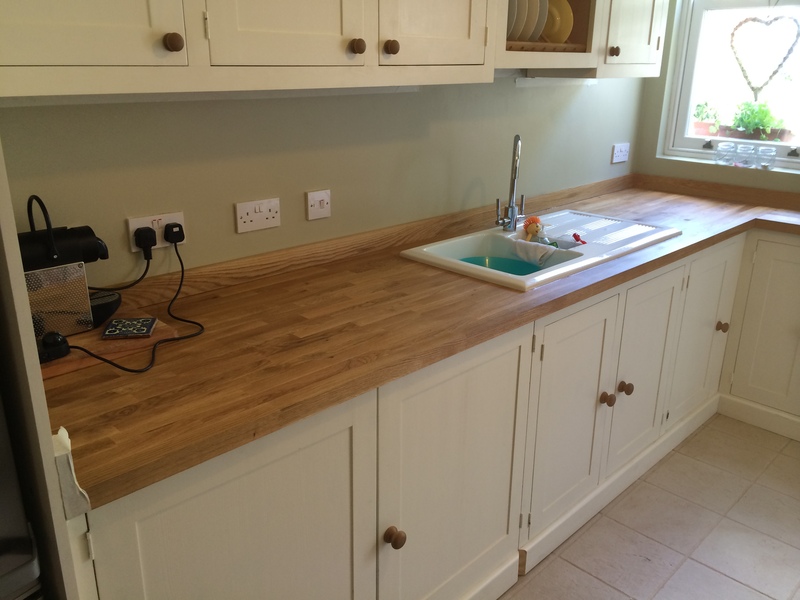 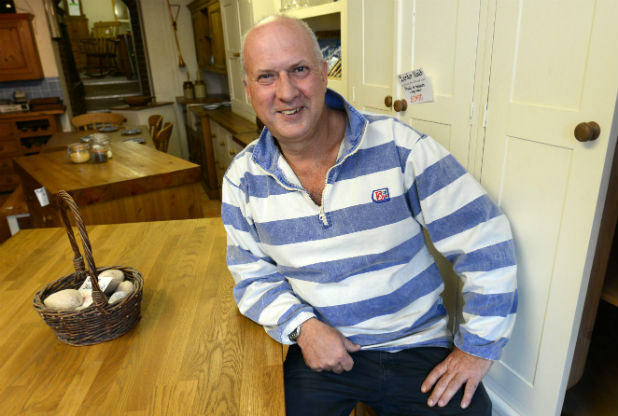 Woodstock kitchens are dedicated to designing inspiring solid wood bespoke kitchens. 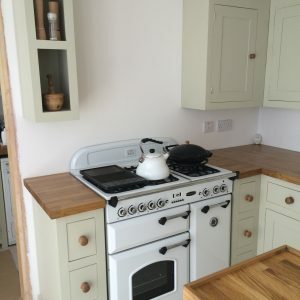 Our aim is to design a kitchen that is functional and affordable. 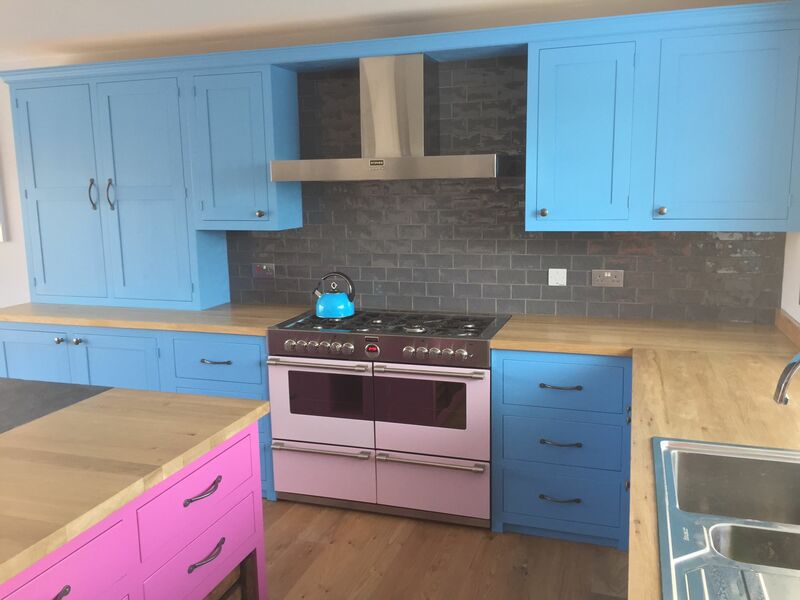 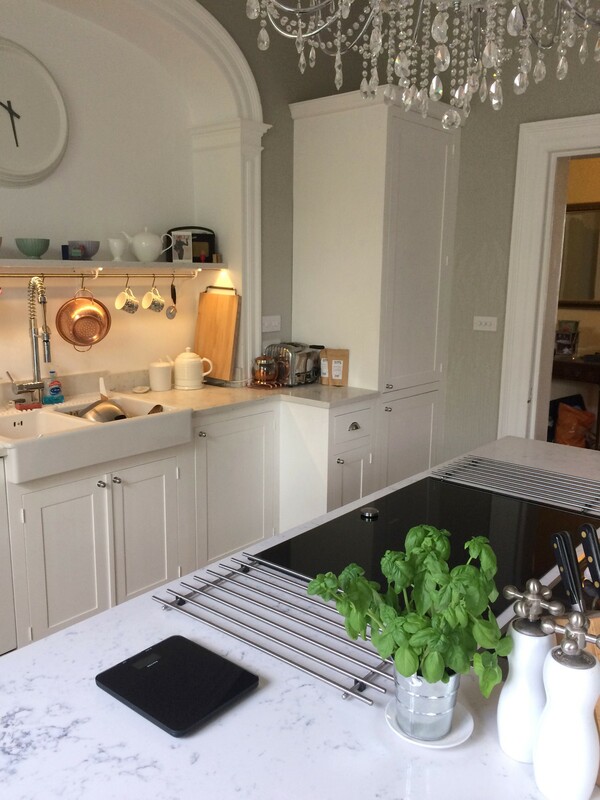 We combine great design with a fantastic level of choice which enables us to tailor a kitchen design to reflect your true aspirations. 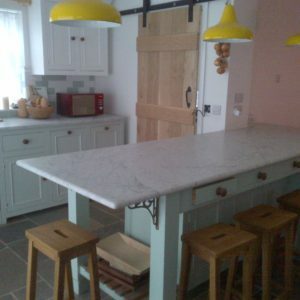 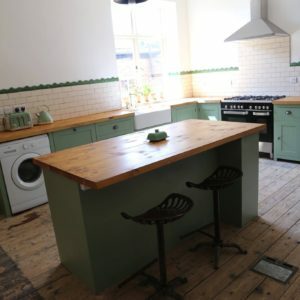 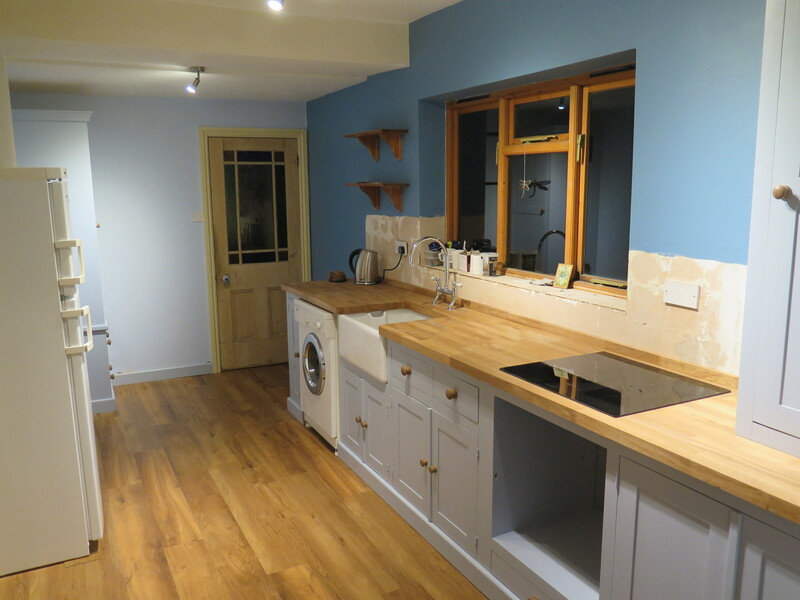 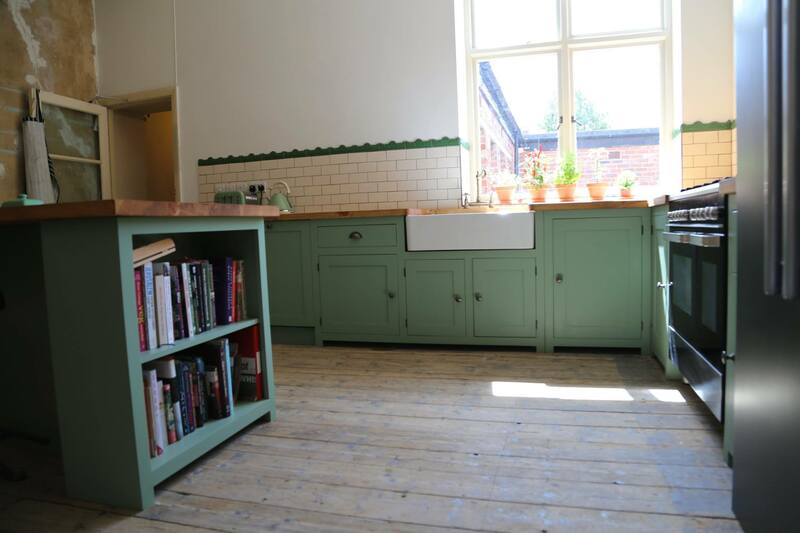 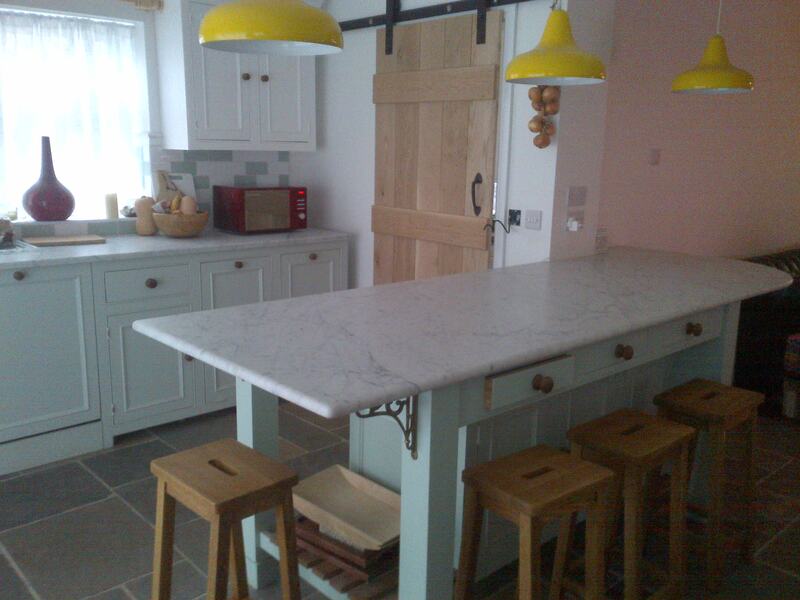 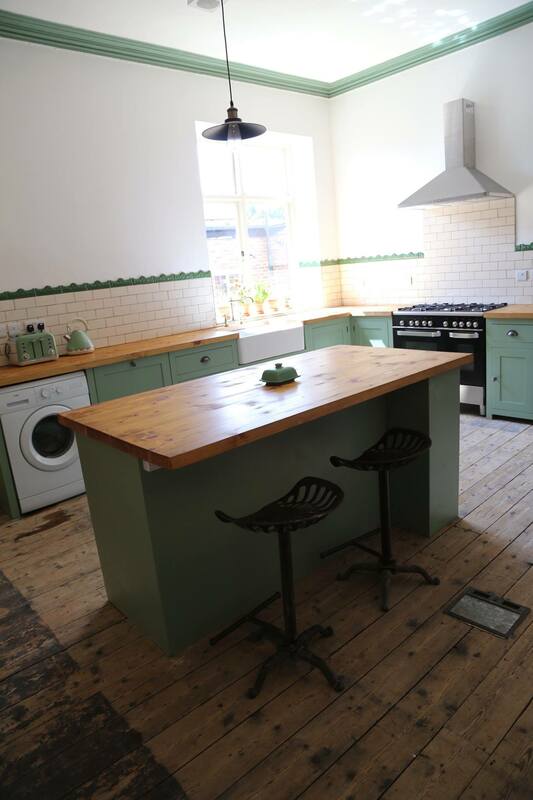 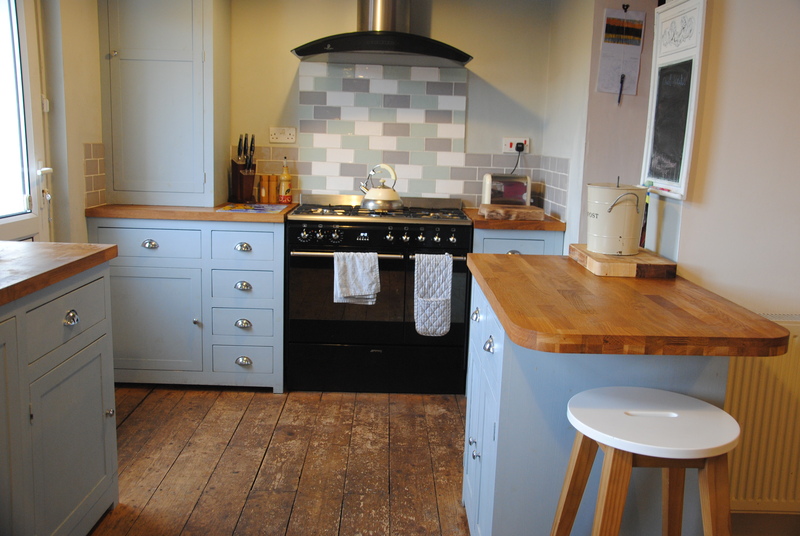 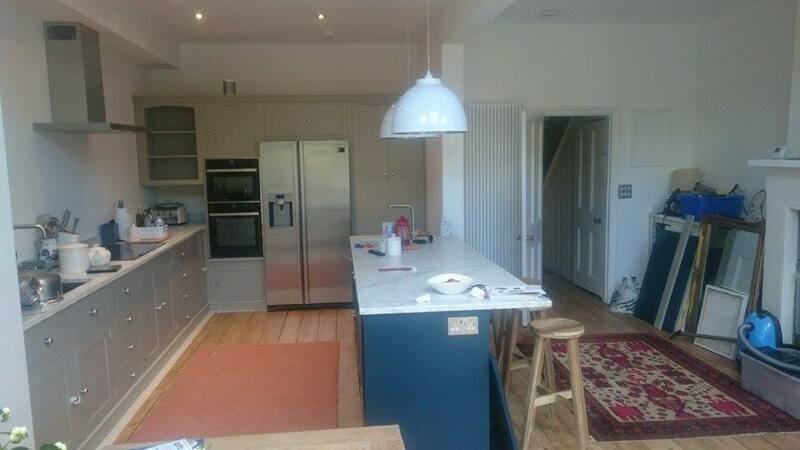 It may be a shaker painted kitchen you love or a reclaimed kitchen made from 150 year old timber that is for you. 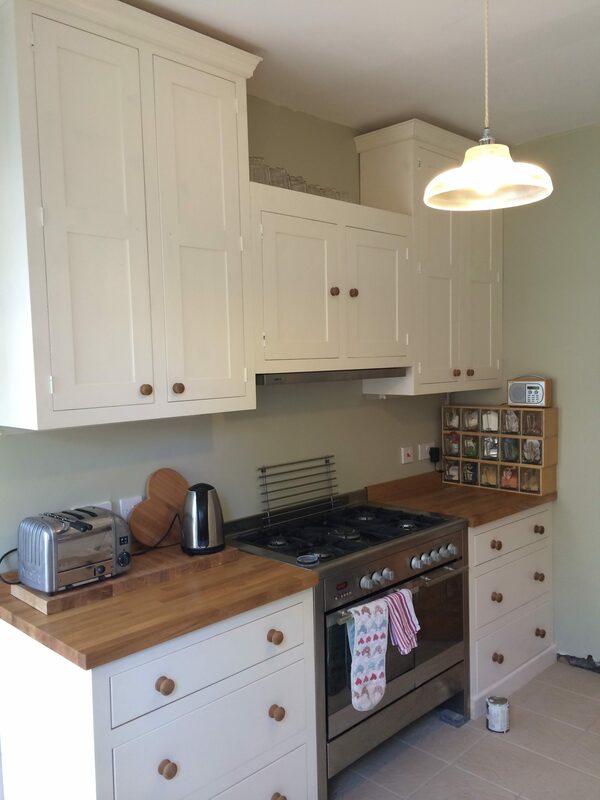 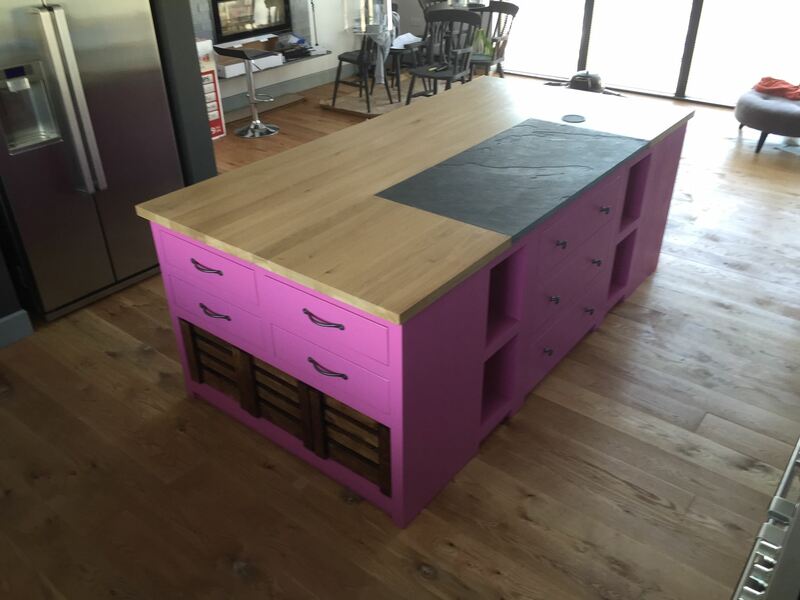 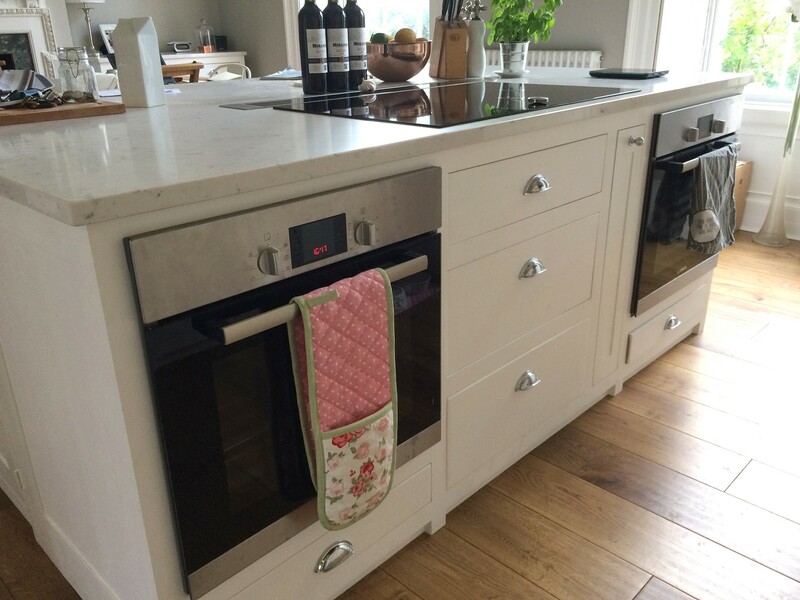 Our handmade bespoke kitchens offer you a level of design and quality that will inspire you. 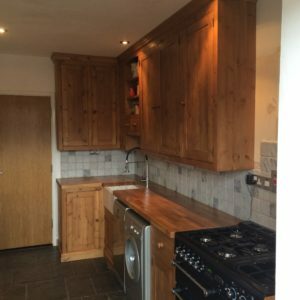 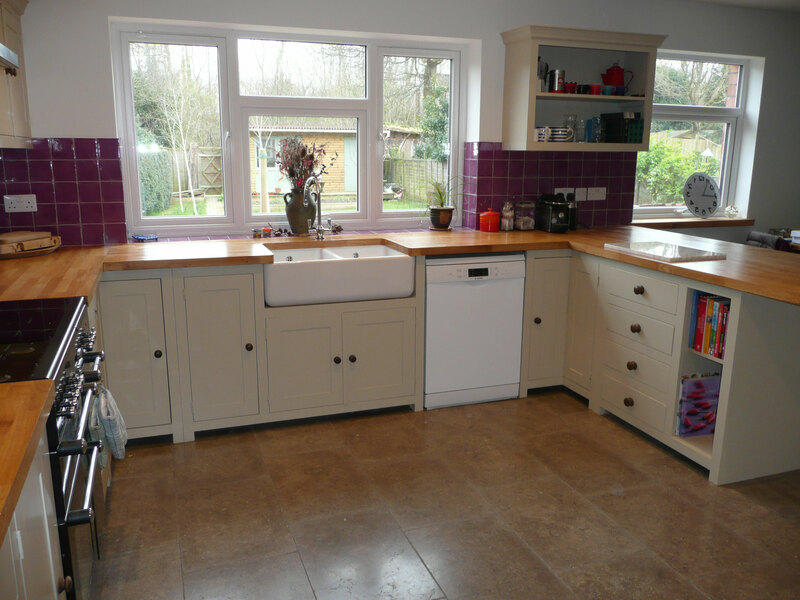 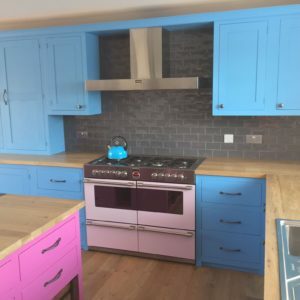 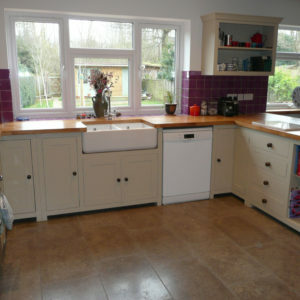 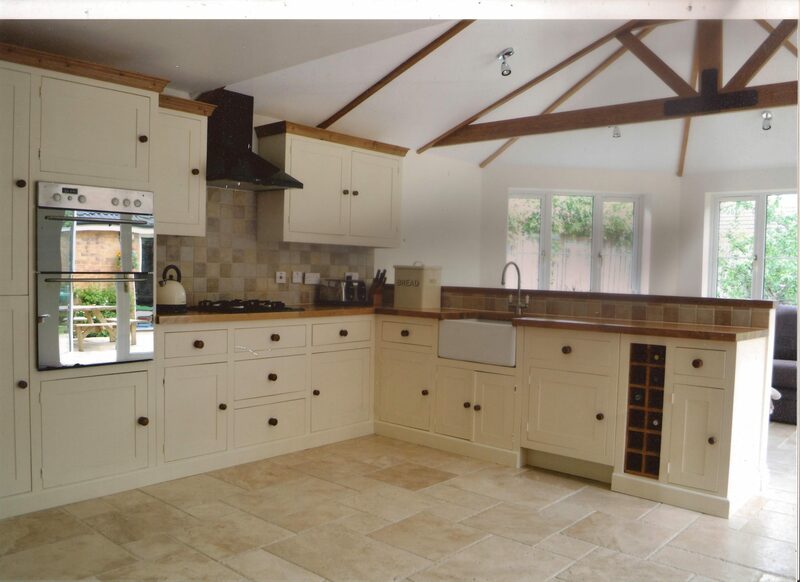 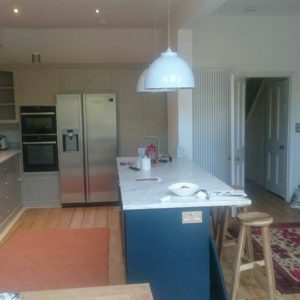 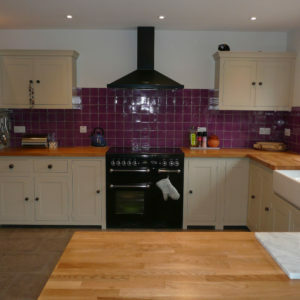 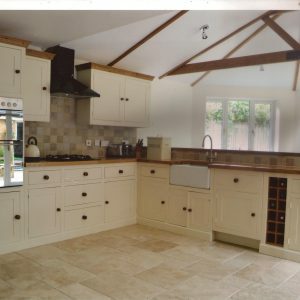 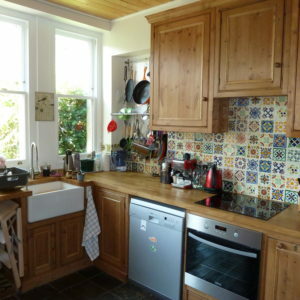 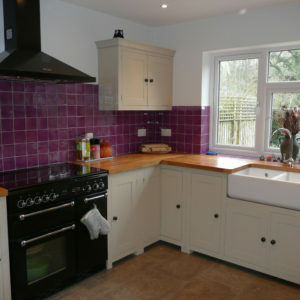 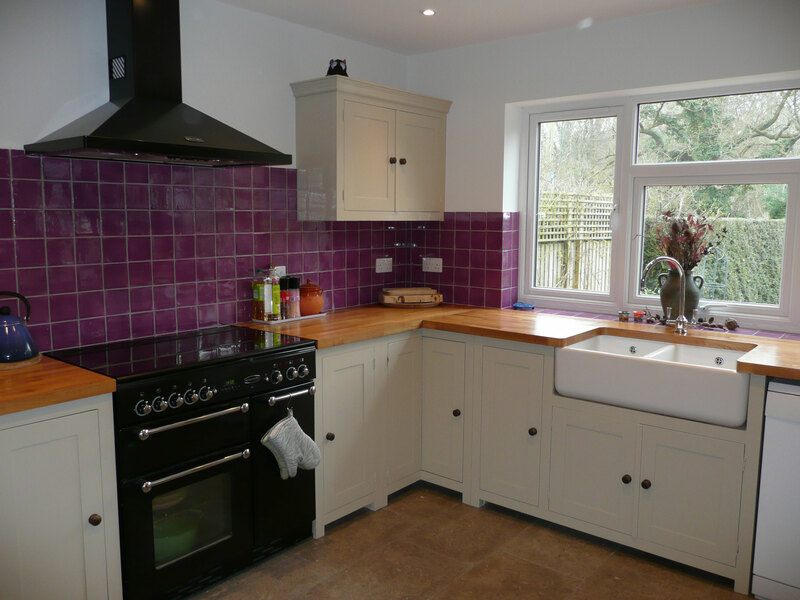 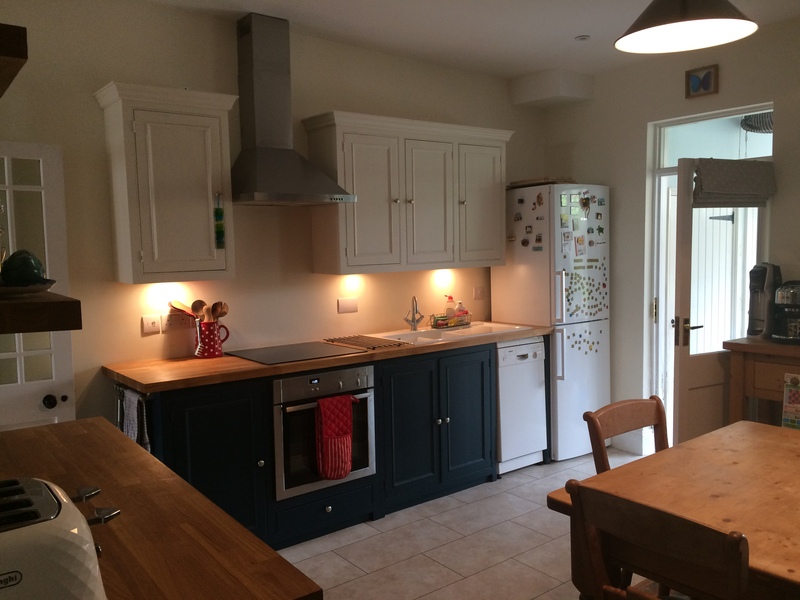 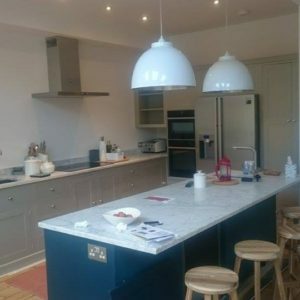 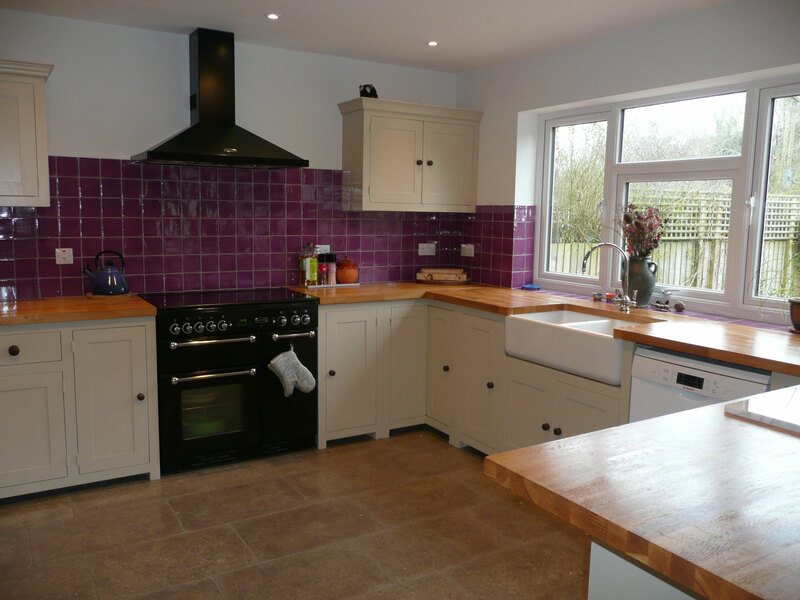 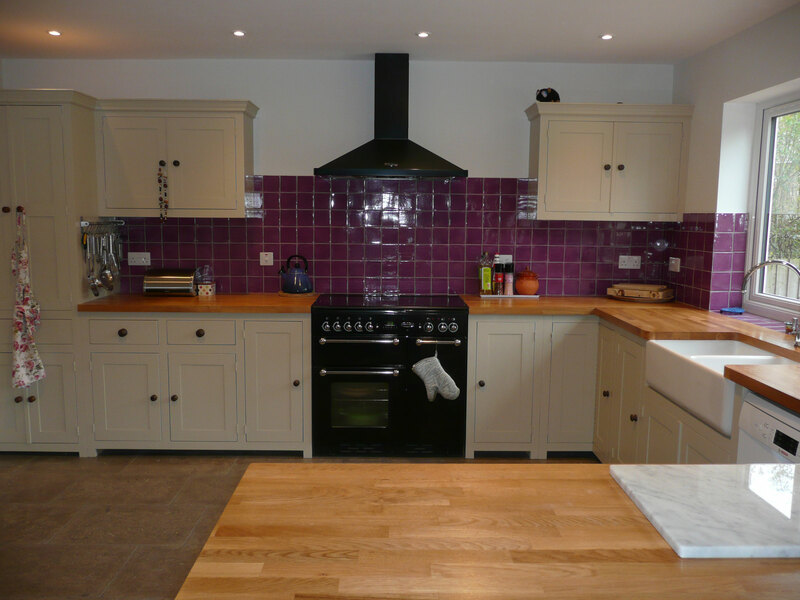 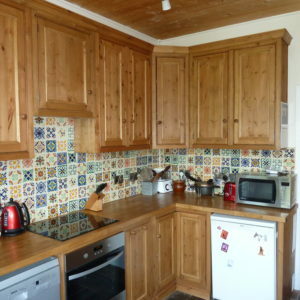 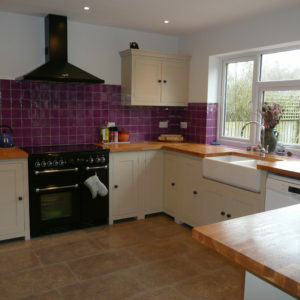 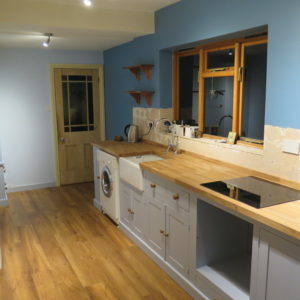 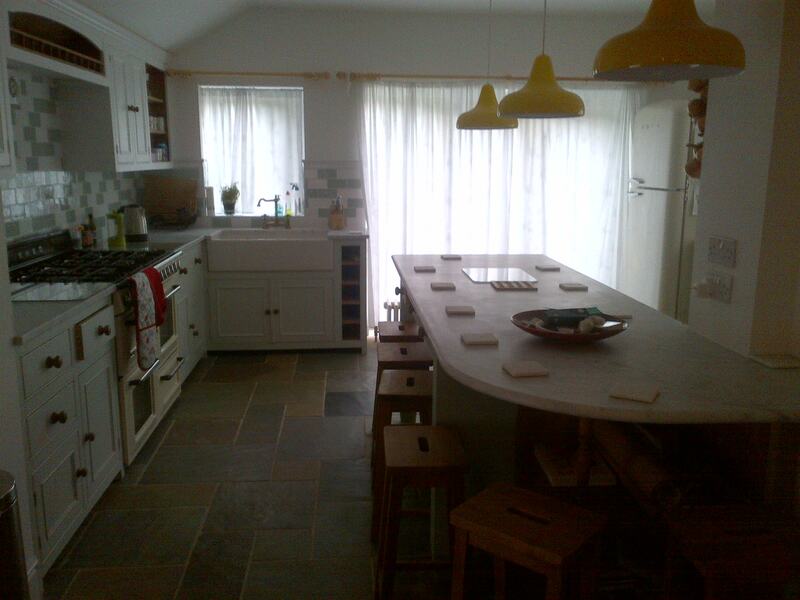 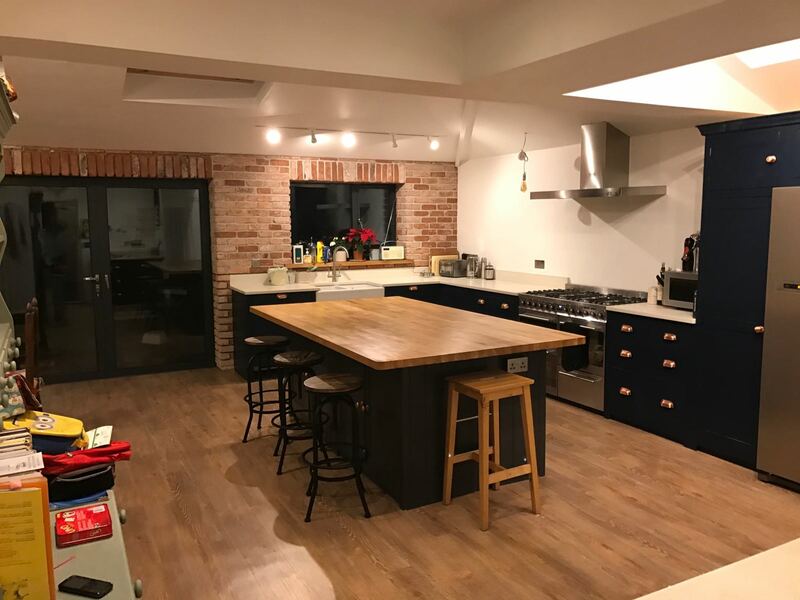 We would be delighted to design your kitchen, please bring in a layout of the kitchen room for an initial consultation. 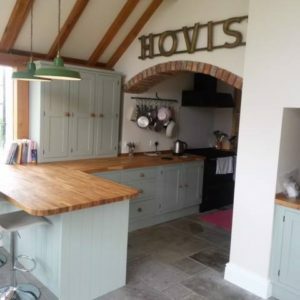 Shaker Style is our most popular choice, the panels have a square edge, this style is mostly painted although the choice of finish is yours. 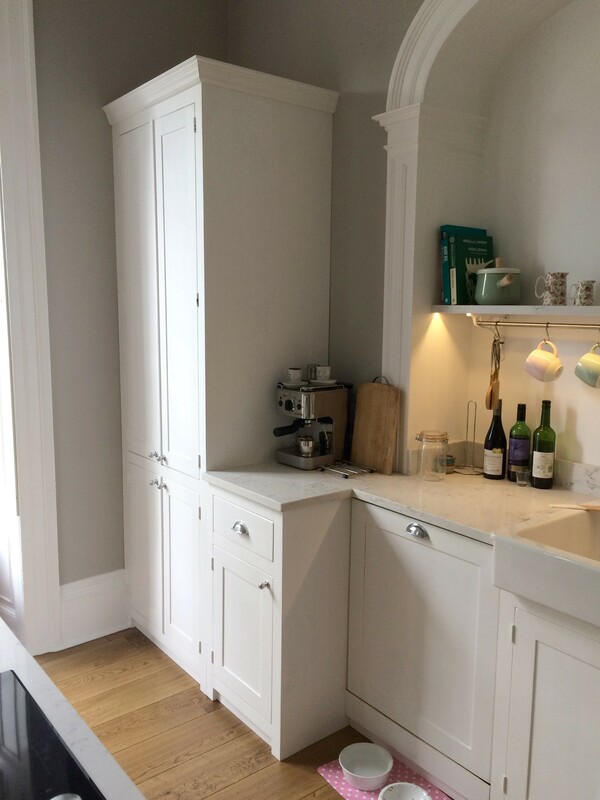 Opt for a Shaker kitchen and you’re buying into a tradition of craftsmanship. 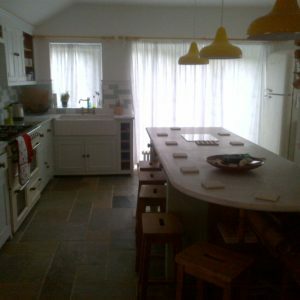 There are no frills, no flounces, just straightforward design, pared down to the minimum. 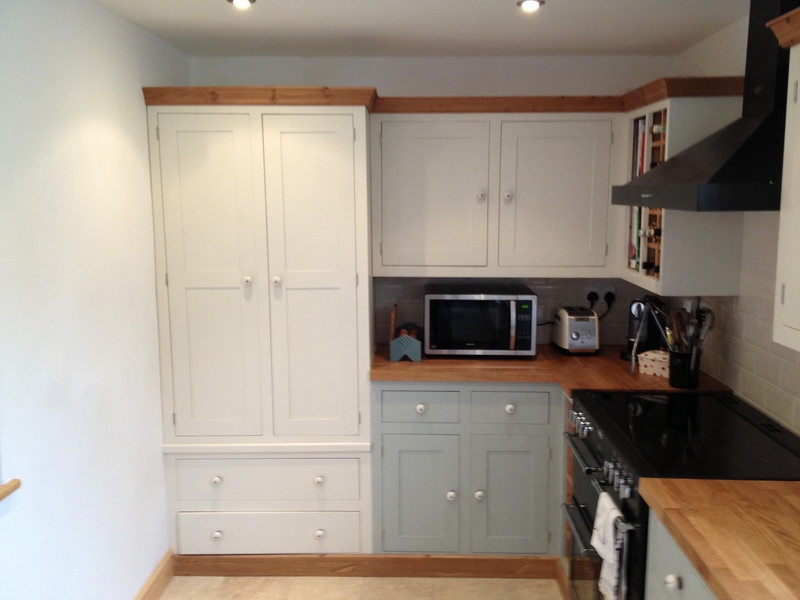 N Range is our next style this is similar to shaker but has a small moulding on each panel. 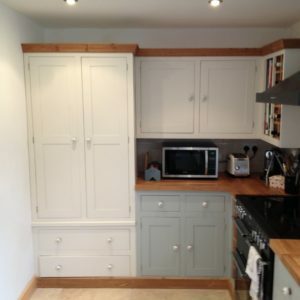 Therefore enhancing each door with a subtle style. 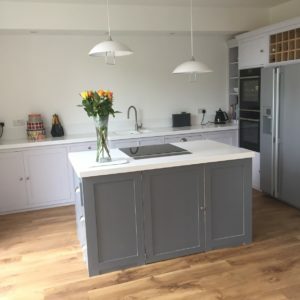 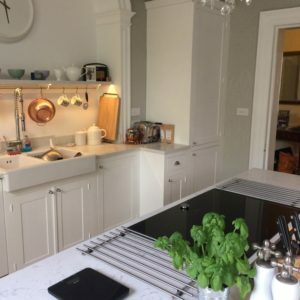 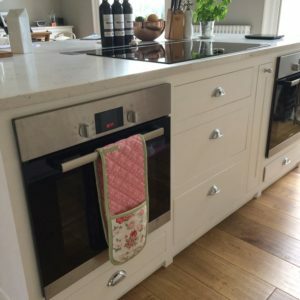 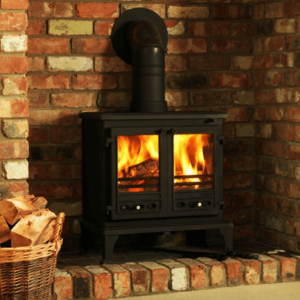 The beautiful craftsmanship and simplicity of this style have found their way into today’s kitchens though of course you can dress up the look for contemporary chic, or go back to its roots with freestanding furniture. 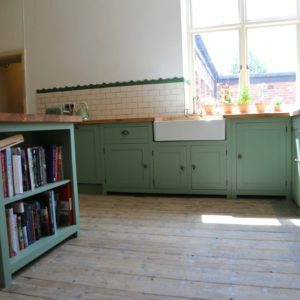 Reclaimed style has 2 different types of moulding, the doors and drawers have moulding around them and each panel has moulding, we use reclaimed floor boards to make these units. 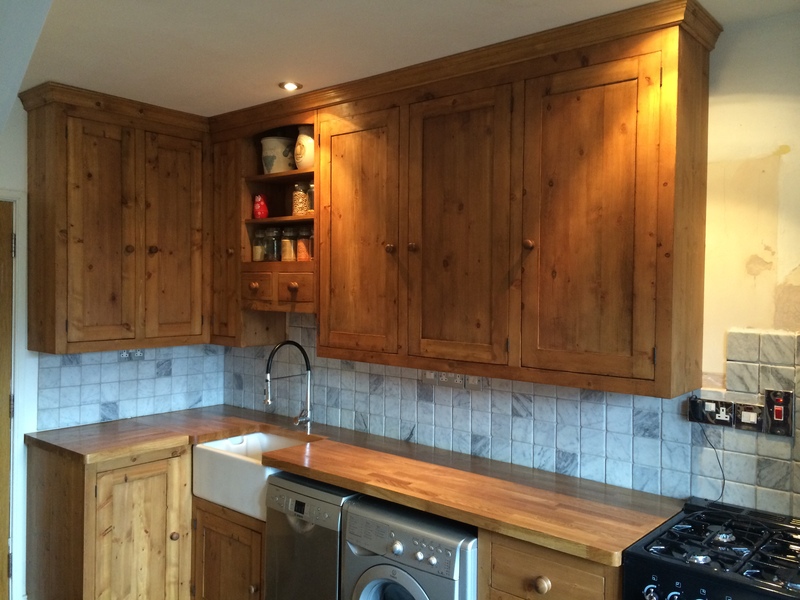 These units have an aged look that would compliment the older more rustic kitchen. 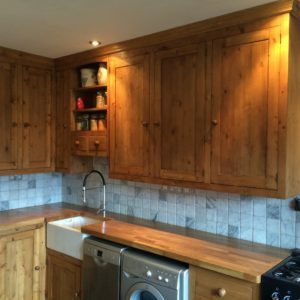 Our prices do not include final finishing, we charge extra depending on the finish you want. 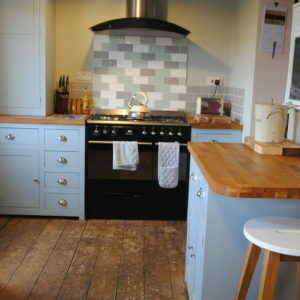 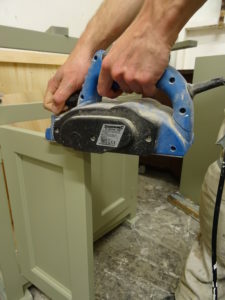 We offer paint finish from the Dulux, Farrow and Ball and Fired Earth ranges. 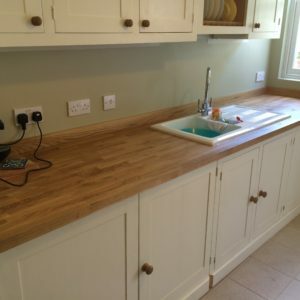 We also offer wax finish, this combined with our oiled worktops looks superb. 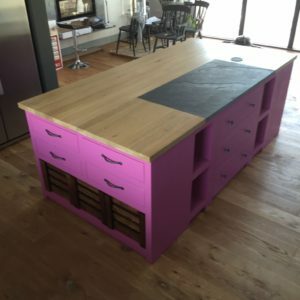 We charge 30 % for paint finish and 15 % for wax finish. 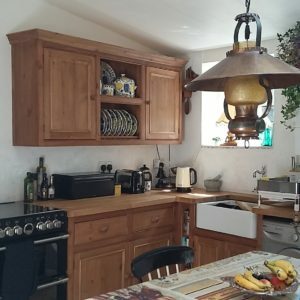 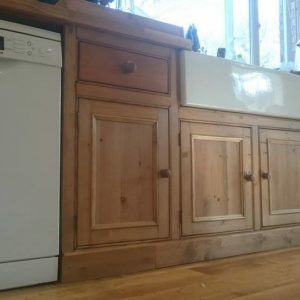 It is very easy for you to calculate the price of your kitchen. 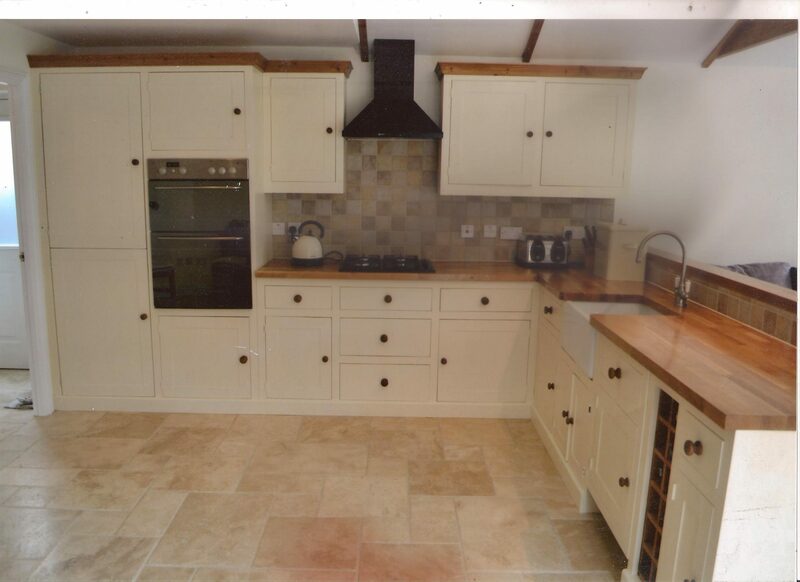 We take 20% deposit to order your kitchen, we will then draw some plans and send them to you for your approval. 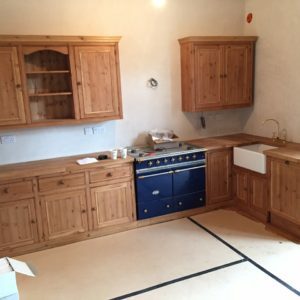 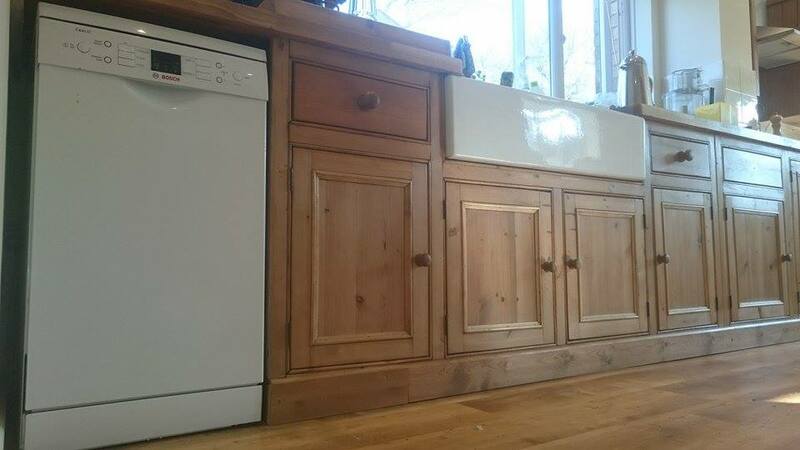 Once the plans are approved we order your kitchen. 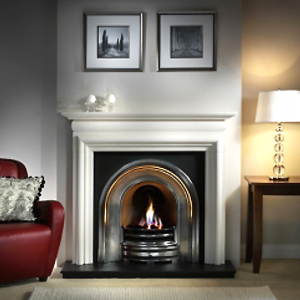 Delivery takes 6-8 weeks from date of order, all balances need to be settled on delivery.